Chinese scientists have applied the cutting-edge gene-editing technique, CRISPR-Cas9, on humans for the second time. On Friday, a cancer patient was injected with modified genes. CRISPR lets scientists cut out small pieces of DNA with more ease than older gene-editing techniques. Last fall, a research team from Sichuan University's West China Hospital used CRISPR on an adult lung cancer patient for the first time. Now, in the latest study, a patient with a rare type of neck and head cancer - nasopharyngeal carcinoma - was injected with altered genes at Nanjing University's Nanjing Drum Tower Hospital. On Friday, Nanjing University announced that the first patient received an infusion of altered cells which were modified in a lab. Overall, 20 patients are expected to participate in the trial that involves nasopharyngeal carcinoma and lymphoma, as well as gastric cancer patients. The first phase is expected to end next year. The scientists behind the other Chinese trial is expected to release the result of their study this year. The scientists altered immune cells to attack lung cancer in 11 patients, according to the Wall Street Journal. 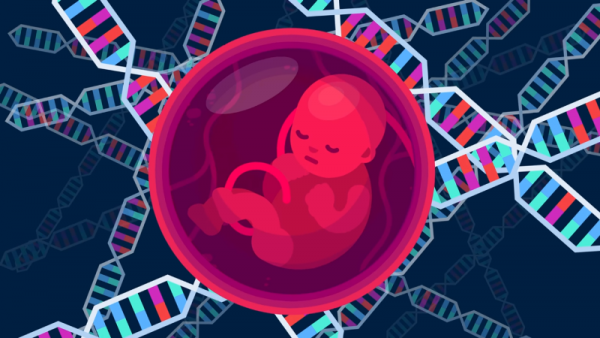 Meanwhile, scientists in the US will also begin the first CRISPR human trial after getting the regulatory stamp of approval to proceed last year. The research is set to begin this summer at the University of Pennsylvania. The scientists involved in the trial are planning to genetically alter the immune cells of the patients to attack three different kinds of cancer.